What’s a Cloud-Native Multi-Vector Container Firewall? 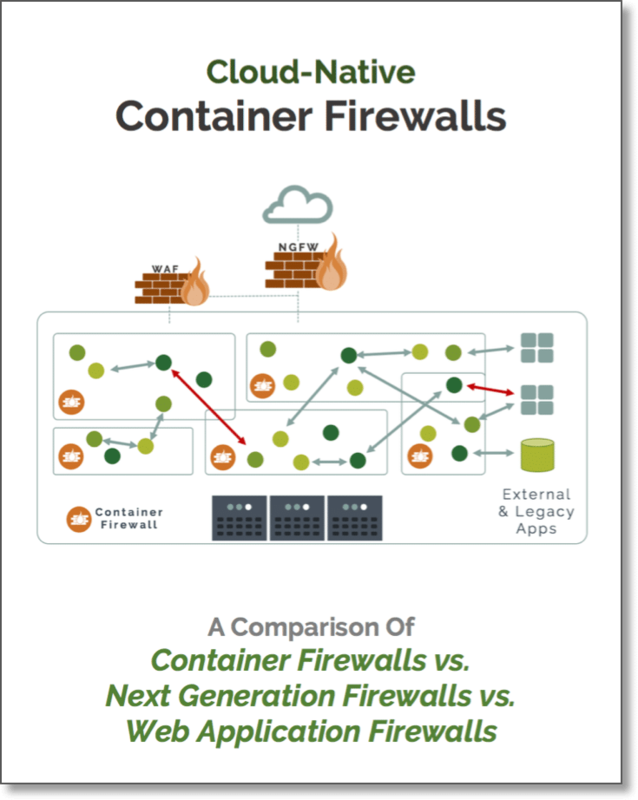 And how does it compare to a next generation firewall (NGFW) or a web application firewall (WAF)? Although these firewalls may have overlapping features they can be deployed to create layered security protections for container workloads. This guide will help security teams understand the similarities and differences between different firewalls in a container based environment. These technologies are often complementary and are deployed in different parts of the infrastructure. A cloud-native container firewall must scale up and down with modern deployment pipelines and must contain application intelligence and be integrated with container orchestration tools. Container firewalls can also provide host security and auditing features.